Business Rules (BRs) allow for defining statements that determine or constrain some aspects of the business and precise what can be done in a specific situation. Together with Business Processes (BPs) they compose an efficient framework for business logic specification. In this paper, issues related to integration of the visual design of BRs with BPs modeling methods are considered. As a result of our previous research, the HaDEs framework for visual design of the rule bases was developed. 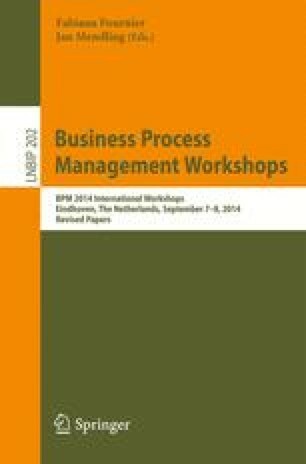 The main goal of this paper is to present the HaDEs toolchain applications and show how they can be used for designing of decision process and effectively integrated with BPs modeling methods. The paper is supported by the HiBuProBuRul Project funded from NCN (National Science Centre) resources for science (no. DEC-2011/03/N/ST6/00909).